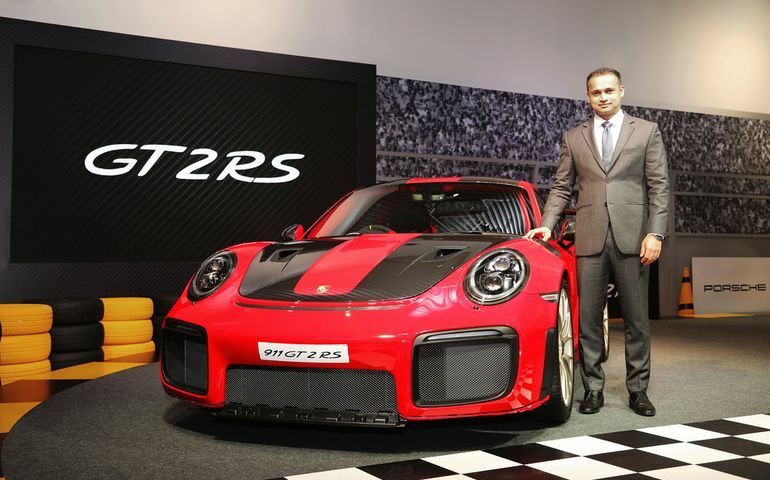 Porsche has launched its ultimate driving machine, the 911 GT2 RS, in India. 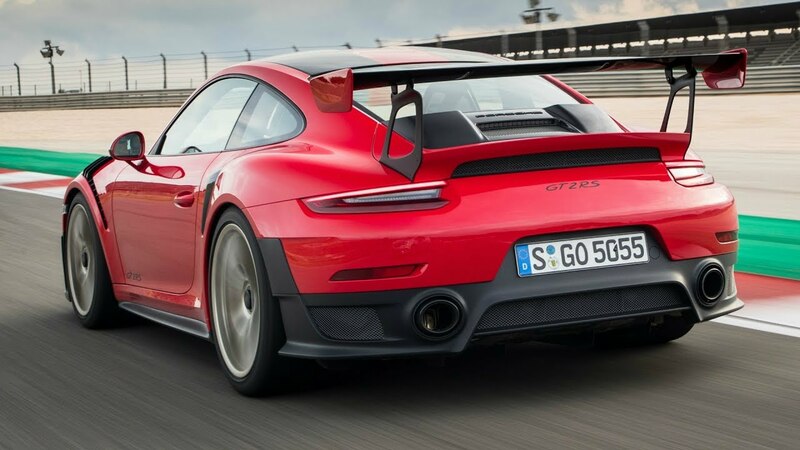 The road-approved sports car holds the record on the famous Nürburgring Nordschleife with a lap time of 6 minutes and 47.3 seconds, the arrival of the special model was celebrated at an exclusive event in the Porsche Centre Mumbai showroom. At the heart of Porsche’s fastest 911 of all time is a 3.8 liter, 700 hp biturbo flat engine, which delivers a power increase of 80 hp over its 3.6-litre predecessor. Weighing in at 1,470 kg with a full fuel tank, the lightweight two-seater accelerates from zero to 100 km/h in 2.8 seconds. The rear-wheel-drive Coupé has a top speed of 340 km/h, and with its near-motorsport drive technology, achieves a torque output of 750 Nm (an increase of 50 Nm). 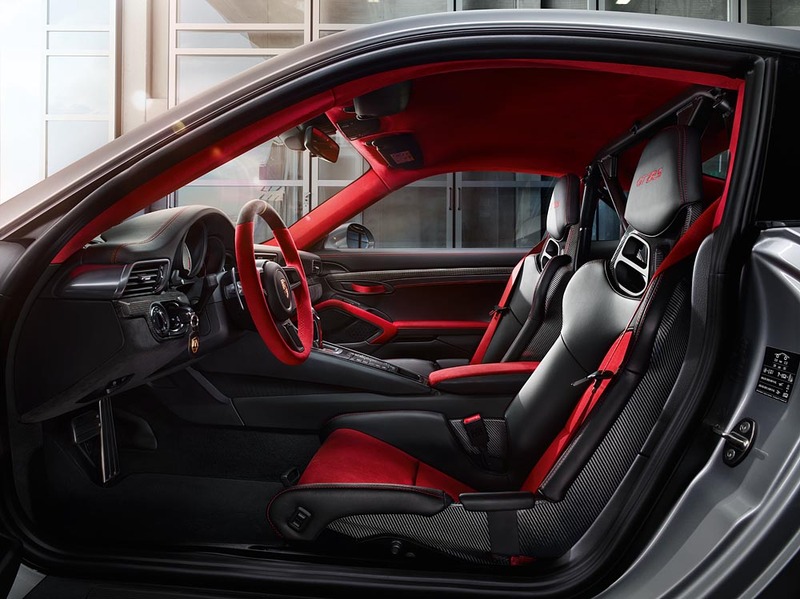 The new model is the first 911 GT2 RS to be equipped with a double-clutch transmission. The Porsche Doppelkupplung (PDK) has been customized for the GT2 RS and offers special features designed specifically for the track. The Intelligent Shift Program enhances gear shifting, whilst the “Paddle Neutral” function gives greater driver control and is reserved solely for Porsche GT sports cars. A motorsport chassis with active performance systems is central to the outstanding driving performance of the 911 GT2 RS. Ultra High Performance mixed tires, the Porsche Ceramic Composite Brake (PCCB) system as standard, rear-axle steering and active driving systems including the PSM Sports function for faster lap times, combine for optimal driving dynamics. Visually, the design of the 911 GT2 RS is centered around the vehicle’s racing properties from every angle. A wide, low front spoiler lip, striking air intakes on the aerodynamic front end and behind the doors, and the air vent in front of the front lid, typical for 911s in the GT class, reflect the vehicle’s powerful performance credentials. 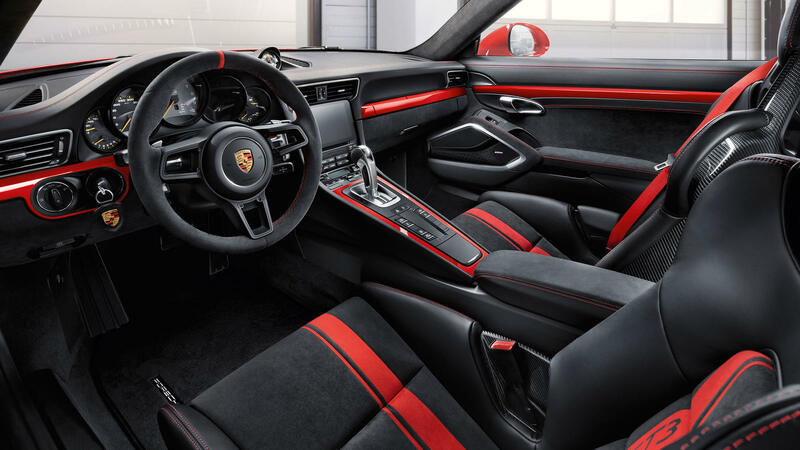 The interior is dominated by red Alcantara, black leather, and a carbon-weave finish as standard. A sports steering wheel with gearshift paddles, full bucket seats, and the Clubsport package which includes roll cage and six-point driver seat belt as standard, enhance the ride experience for drivers and passengers further. Already featuring a lightweight, aluminum-steel composite construction, the Weissach package is available as an option, offering up to 30 kg weight saving for an even greater performance. The first 911 GT2 was developed in 1995 and was based on the 911 Turbo of the time. Subsequent generations followed in 2000 and 2007. In 2010, Porsche designed the first 911 GT2 RS to be an even more powerful and near-motorsport variant. All 911 GT2 vehicles have several things in common: turbo engines with significantly increased power, motorsport chassis, high-performance brakes, and rear-wheel drive as opposed to all-wheel drive. The new Porsche 911 GT2 RS is now available at Porsche Centres across India with a basic retail price of INR 38,831,000.